He is a senior leader in the YCP. He is a Member of Parliament. He is the party chief, Jagan. His words to the party days until a few days ago are the ones who cared. In the case of crucial infidelity, resignation and other affairs, the MP's speech have become a bad thing. 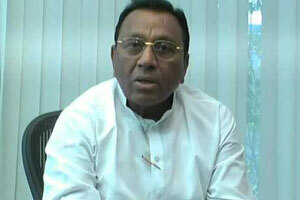 Another MP, the Opposition Leader, has been working closely with Jagan to debut the senior MP in the debate. It is also a party in the party that the MP has been labeled outdated and the head of the criticism is being put on the sidelines. At present, the party is getting worse with the developments of the YCP MP Mekapati Rajamohan Reddy The debate is raised that no one in the party is not thinking about Mekapati that he has been a crucial role in the YCP till yesterday. Vijaya Sai Reddy who is the right hand of Jagan is busy in Delhi politics. The party leaders feel that the hike has been reduced with the central elders. If Parliamentary sittings are postponed indefinitely, the MPs are ready to resign immediately. He, however, said that he would resign from the resignation and give any signal to the people. The same opinion was given at the meeting held in the presence of Jagan, but it seems that Jagan and Vijayasai Reddy are deeply indebted. All the MPs are resigning but the Rajya Sabha member Vijayasai Reddy is not ready to resign. If all the resignations are done, you feel that there is a winner in the opinion of all the politics of the YCP. His close relatives say he does not like to be in the forefront of the YCP with the BJP. The fight against state interests, saying that friendship with the BJP is not good for the YPC. It is unhappy with ignorance. Once in Delhi, the YCP was a great goalkeeper Rajamohan Reddy. He was in touch with other parties. But, in spite of this, the success of the Reddy prosperity in the party and the fact that Jagan has been in the limelight is growing. At the same time, some of the party factions are trying to break the seal of the outlet. The talk is that he is somewhat dissatisfied with the latest developments.